I recently finished up a set of stock illustrations featuring precision metal calipers, and it dawned on me that the industrial designer in me really likes the design of those little things. No, not my own 3d illustrations (ha! ), but the calipers themselves. You’ll see that they are truly works of art if you take the time to really study them, especially when they are built really well with the right amount of heft and silky smooth operation. Precision tools are an amazing thing. 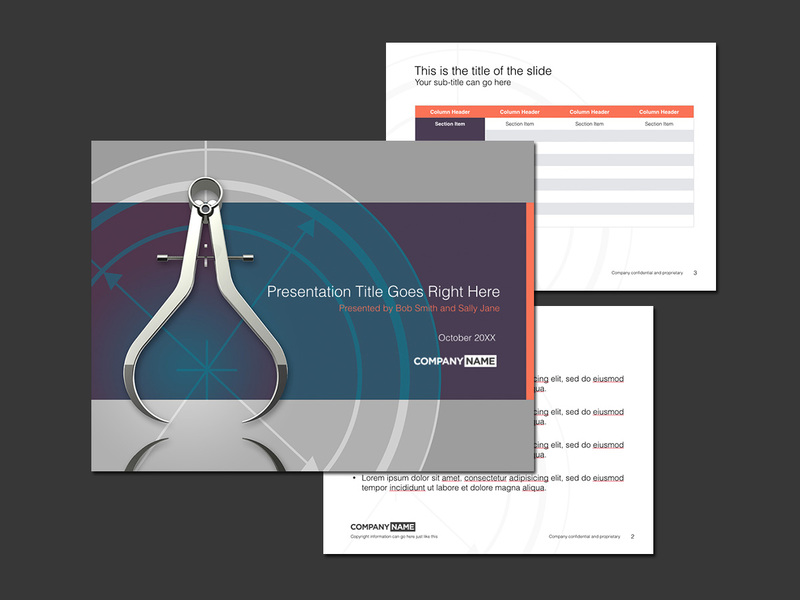 Anyway, I had been kicking around some ideas for some stock presentation templates featuring calipers for a long time so I spent some time this week to knock a few out. I based all of these on this single upright caliper illustration – mostly because I think they look best in this position and I thought it would be easiest to build templates around them in a simple straight-on view. 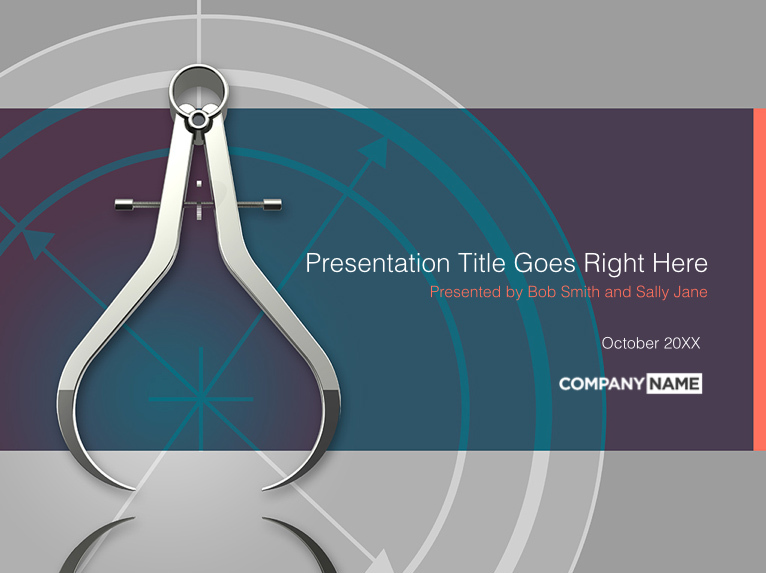 This first keynote template is a colorful design featuring the calipers over top of a purple and gray background with an abstract blueprint-style drawing texture. It’s generic enough that you could use it for pretty much anything relating to engineering and design. 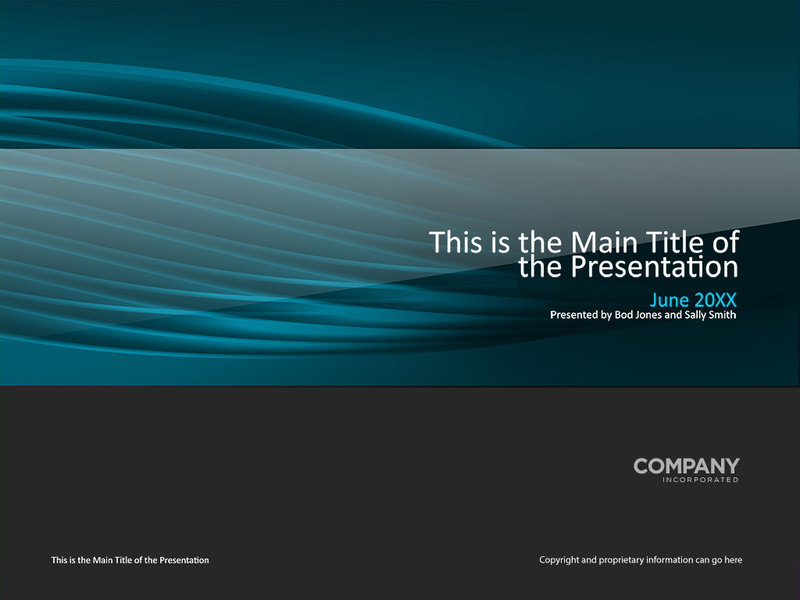 Fully editable Apple Keynote presentation template. Includes cover, text, and table pages. Precision calipers theme. For the next template, I decided to strip out the color of the previous one (you know me…the king of monochrome) and use little splashes of color in strategic places to bring visual interest to the template. I tend to like this one better than the first, simply because it’s not so visually busy and it lets the content stand out a little more. 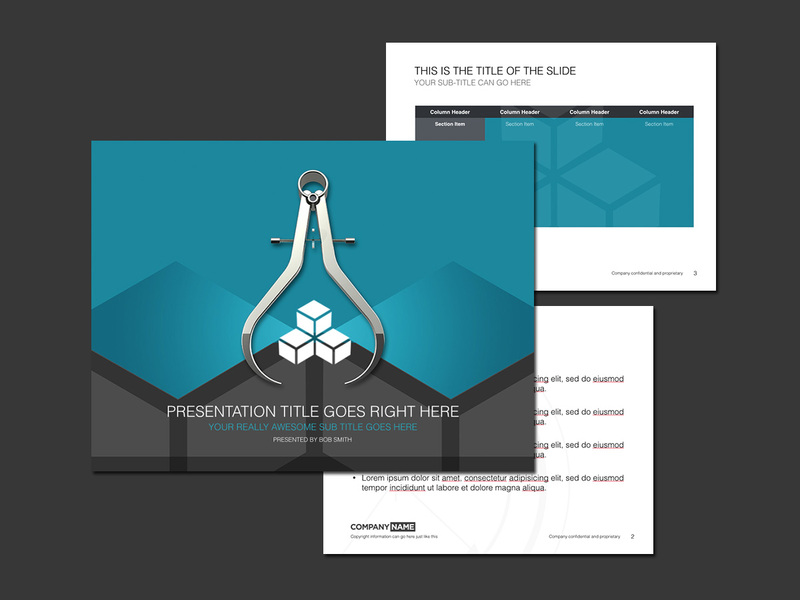 Fully editable Apple Keynote presentation template. Includes cover, text, and table pages. Dark precision calipers theme. The next template is a lot simpler. 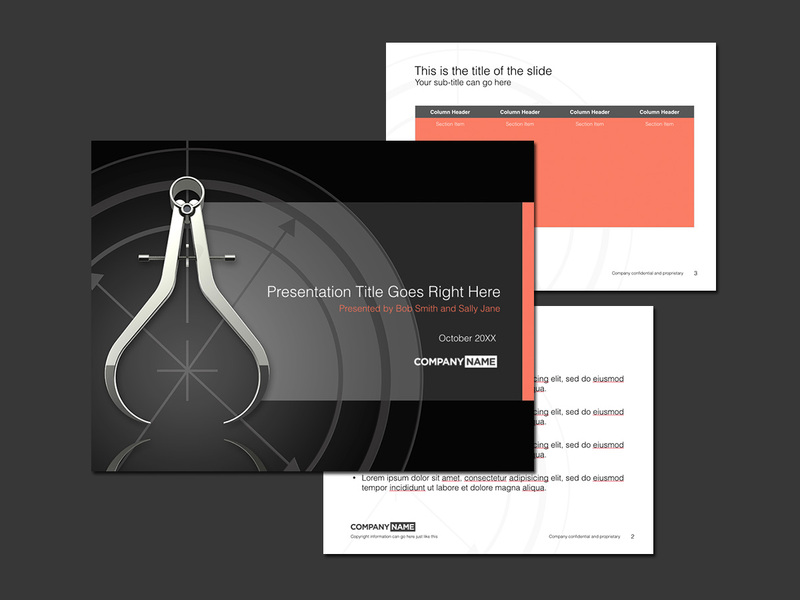 I really liked that light orange accent color I had been using in the previous two templates so I wanted to create a light layout that used that specific color as the core of the design. I also decided to step away from that generic blueprint image in the background and keep things really simple instead. One other thing to note is that the cube icon on the cover slide can be removed and replaced with your own. 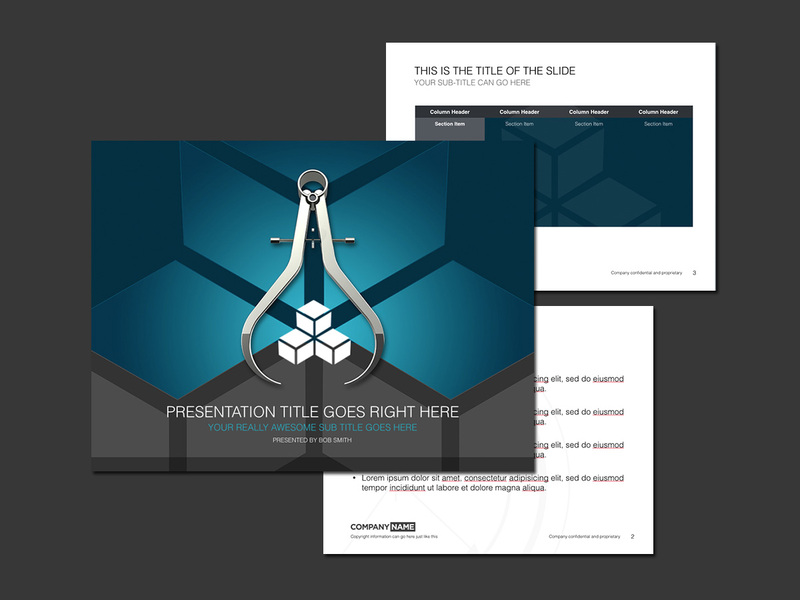 Fully editable Apple Keynote presentation template. Includes cover, text, and table pages. Orange and white calipers theme. The final two templates are based on that stacked cube icon that I created for the previous template. I intended that to be just a placeholder corporate logo icon (that you cold replace with your own), but I thought that it was a strong enough element to use as the basis of an abstract background texture. These two templates will probably be less useful to most because of the fact that the background pattern is based on the company logo/icon, but I included them here just in case there is an odd chance that someone likes them and can somehow integrate thier own brand into them. 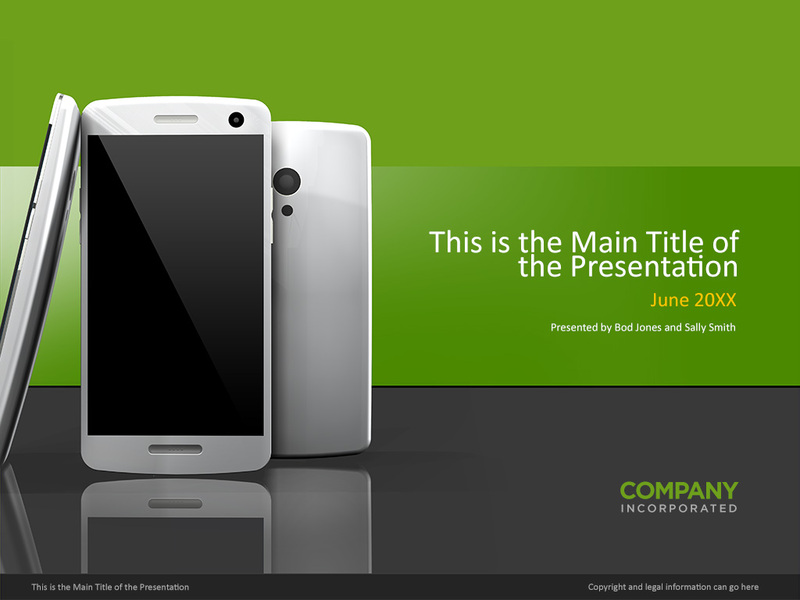 Fully editable Apple Keynote presentation template. Includes cover, text, and table pages. Blue and gray block pattern precision calipers theme. 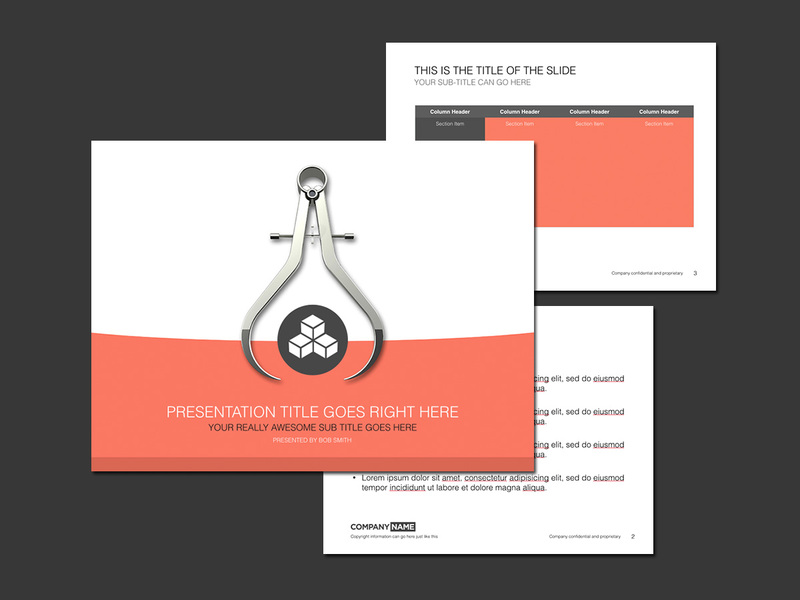 Fully editable Apple Keynote presentation template. Includes cover, text, and table pages. Abstract large blue and gray blocks precision calipers theme. One final thing: you’ll need Keynote to open and edit these files (and then you can then export to Microsoft PowerPoint if you’d like). If you haven’t tried Keynote yet, do yourself a favor and start using it. No, it’s not as powerful as PowerPoint, but it’s user-friendliness and the way it handles elements with pixel-perfect precision makes up for that in a big way. It took me a while to fully convert over myself, but I’m glad I took the time to experiment with it.